British archaeologists have finally deciphered a perplexing puzzle found beneath an English millwright’s floorboards. In 1995, workers discovered the timbers of what appeared to be an 18th century warship – it’s just that no one knew what ship the timbers belonged to. 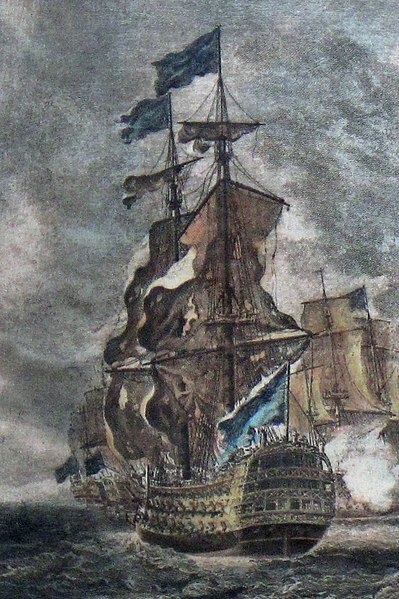 Now, 17 years after the initial discovery, archaeologists have been able to identify the ship as the HMS Namur based on an investigation of its structure and fittings. In particular, the ship’s round bow helped archaeologists pinpoint the exact identity of the ship. HMS Namur served as a ship-of-the-line in Britain’s Royal Navy and was Admiral Edward Boscawen’s flagship at the Battle of Lagos fought 253 years ago today (August 18 – 19, 1759). The ship was later broken up at the Chatham Royal Dockyard in 1833 and her timbers were placed beneath the millwright shop’s floors.